The loss of a loved one can be devastating on both an emotional and financial level. It is wise to seek the counsel of an experienced Philadelphia estate administration attorney who can answer your questions and help you navigate this challenging time in your life. At the Olen Law Office, we have more than 35 years of experience in both estate and trust planning and their administration. Our attorney, Elliot Mark Olen, has extensive experience in these areas and can provide clients with the guidance and information they need. Executor, trustee, or beneficiary, we can help each with these services. If you have lost a loved one, it is important to act quickly to ensure that the estate is handled properly. Contact our office to schedule a consultation with a Bucks County estate administration attorney. It is not uncommon for heirs to dispute a will or trust. The court has virtually no direct oversight over estates or trusts administered in Pennsylvania, only decisions on disputes brought to the court by others. 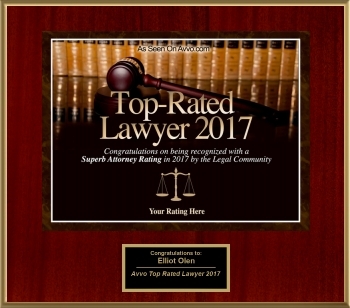 Attorney Olen has experience representing both executors and administrators (also called personal representatives), and heirs or creditors, in these types of disputes. Yes, even a creditor can start a lawsuit against an Estate like any obligor. Just having legal control over an estate or trust does not justify self-dealing, indifference, or shaky conduct. A Personal Representative or trustee must act for the benefit of all the beneficiaries, without regard to his personal situation or preferences. Yes, sometimes these decisions must be second guessed. These are all types of orphans court litigation. Estates and trusts face all the same litigation benefits and burdens as any plaintiff. There are just special rules and procedures that apply, like judges, not juries, making final decisions on everything. Personal representatives and trustees can be removed (“fired”) by the court for failing to do their job. Sometimes they have to refund or give up money as part of that. In rare cases, criminal charges may be warranted. There are time limits on these like other suits so delay is not a litigant’s friend in Orphans Court. Whether you believe that a Will or Trust was drafted under duress,fraudulent/misinterpreted, resulting from force of superior will power over a dependent reliant on an Agent under Power of Attorney, or if the fiduciary may not have acted in the best interest of the estate, you have rights. Contact our firm, we can help. If you have further questions regarding estate administration or if you are a trust executor and need assistance, we encourage you to schedule a consultation at the Olen Law Office. We can be reached by calling 215-943-5343 or by completing our online contact form. To better suit your needs, we are able to conduct business online and we accept all major credit cards.